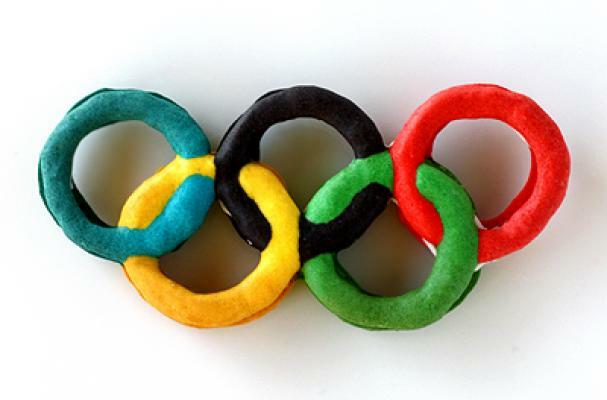 These Olympic macarons from Diamonds for Dessert mark the end of the summer games. The medals may have been awarded and the athletes have gone home to their respective countries but the Olympic games can live on in your own kitchen. Macaron batter is divided into 5 batches and colored black, red, blue, green, and yellow. They are then piped onto wax paper and baked in the oven. To finish them, sandwich the cookie with your favorite flavored buttercream. Keep this recipe in your back pocket for the Sochi 2014 and Rio 2016 Olympic games (they will be here faster than you think).